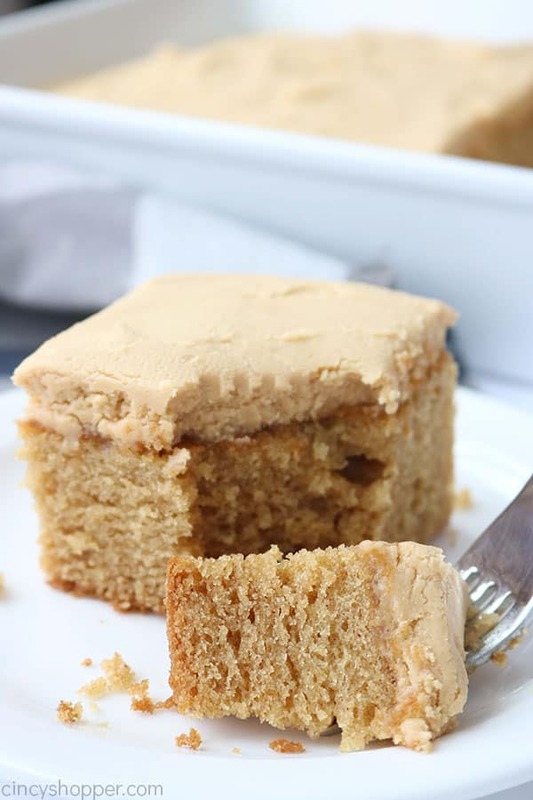 My homemade Peanut Butter Cake with Peanut Butter Frosting is an old school recipe that will quickly become a family favorite. 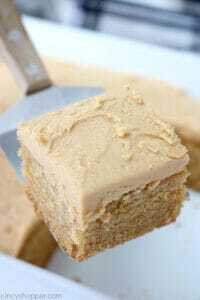 You will find the moist cake loaded with peanut butter flavor. 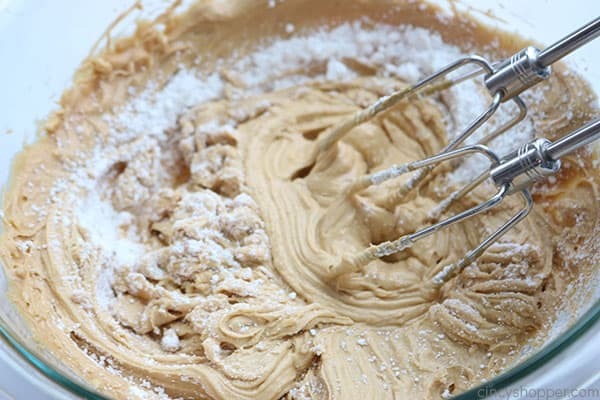 Then we top it with the best peanut butter frosting. 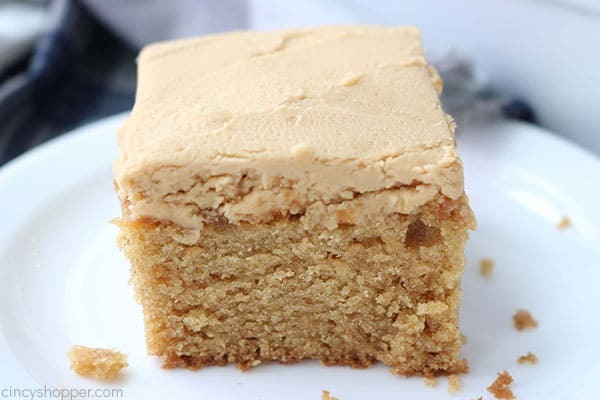 Peanut butter fans are going to go crazy for this Peanut Butter cake. I am a big fan of everything peanut butter. If you follow along on my blog, you probably have already figured that out. I love my 3 ingredient Peanut Butter Cookies. My No Bake Reese’s Peanut Butter Cheesecake is an over the top peanut butter lovers dream. 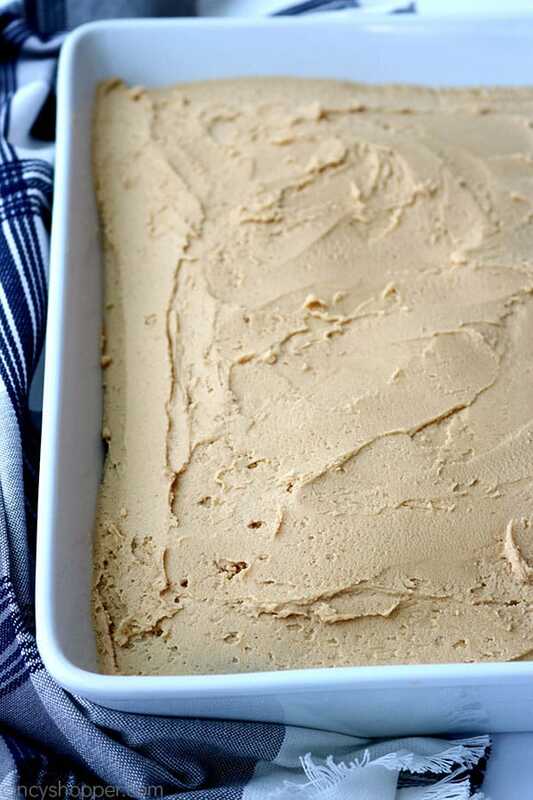 So peanut butter recipes are my most favorite desserts and I share them often. Each year for my birthday, my grandmother would make us each a homemade cake to celebrate our day. My grandmother quickly realized that she never really had to ask me which cake was going to be my choice. 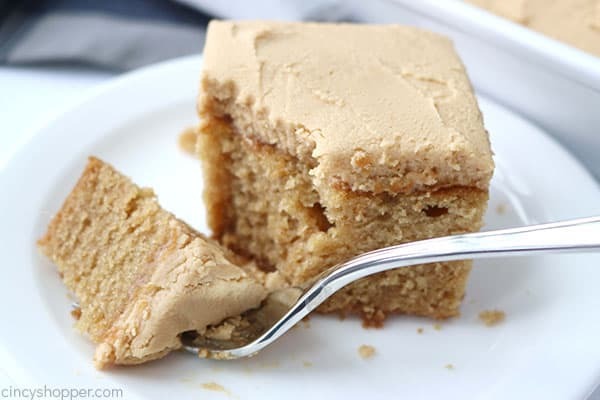 Every year, I always requested her homemade peanut butter cake with peanut butter frosting. It really was her best homemade cake. It is perfect for feeding a crowd. We sometimes cut our cakes into smaller finger sized pieces when we are feeding more than just immediate family. You can easily get quite a few smaller pieces from a traditional sized cake pan. I know some make an old fashioned peanut butter sheet cake when serving a crowd. Sheet pan cakes are great but there is something about a thick moist cake topped with a layer of thicker frosting. This recipe is an old fashioned cake recipe filled with so much flavor. She has been making this same recipe for years. I thought the recipe was very tedious so I never tried to make it myself. I can’t believe I have waited this long to make her homemade peanut butter cake. I have now made this recipe a few times and each and every time, my family has gobbled it up. They now have deemed it their favorite cake.It was not difficult to make and took very little time. Sure a peanut butter cake mix would be a blessing for a quick dessert but homemade desserts are always the best. The question always lingers in my mind as to why manufacturers have yet to make a good peanut butter cake mix. Maybe someday they will excite all of us peanut butter fans with such a product. 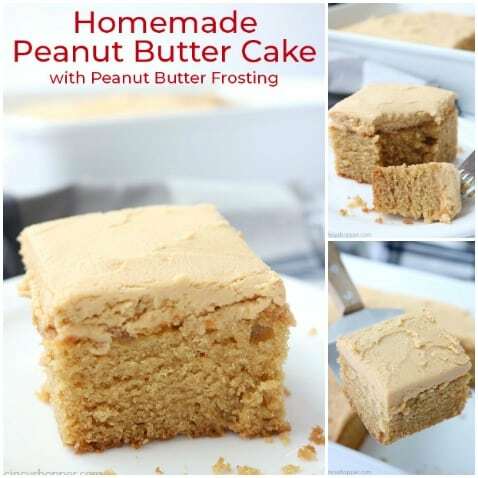 How do you make Peanut Butter Cake? 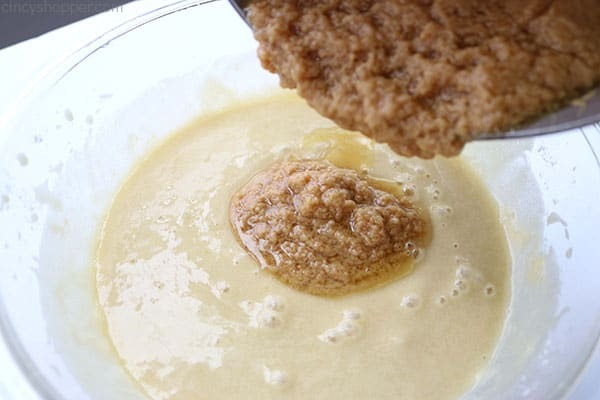 All that is needed to make this recipe is some creamy peanut butter and some basic ingredients you most likely have on hand. Grab some of the store brand peanut butter, it will work best. It is always creamy and has the most oil content. So it is perfect for this cake. Peter Pan or Skippy will work fine too. 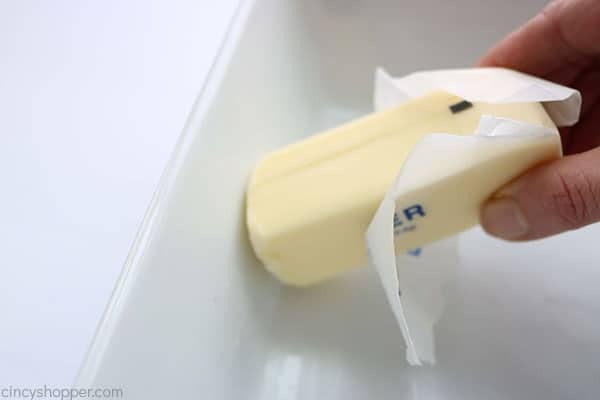 Grease a 9×13 baking dish with butter. Dust with flour to prevent sticking. 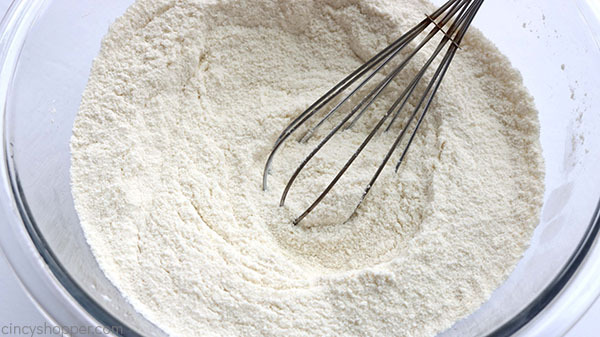 Whisk together flour, sugar, and baking soda in a large bowl. Add milk, eggs, and vanilla to bowl. Beat mixture at low speed until blended. 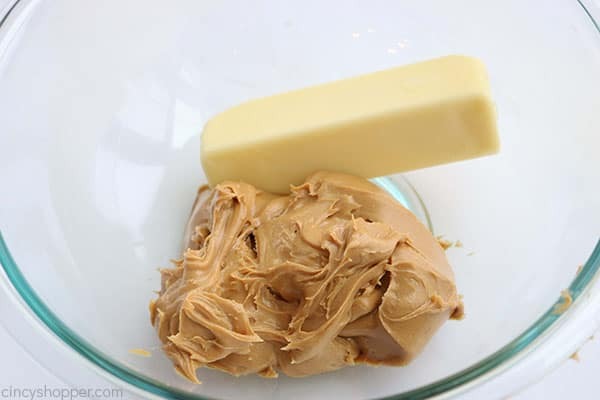 Add water, butter, and peanut butter to a saucepan. Heat over medium heat stirring frequently until blended (about 5 minutes). 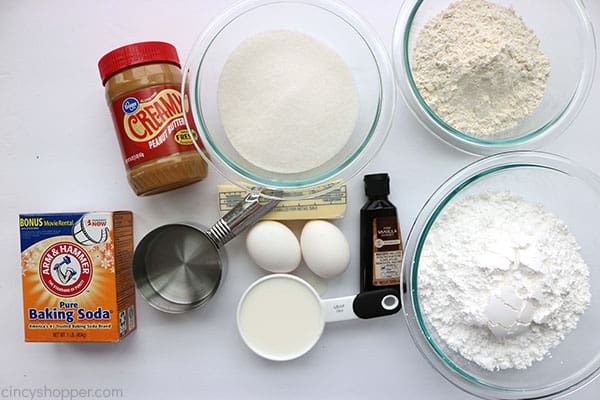 Add peanut butter mixture into flour mixture. Stir until batter is well mixed and pour into prepared dish. Bake about 35-40 minutes until a toothpick inserted in the center of the cake comes out clean. Slowly add in the sugar, if it gets too thick then add a little milk to thin. Continue until all of the sugar is in and the frosting is blended to the right consistency. I always heavily butter my baking dish. I also add a dusting of flour. This always keeps the cake from sticking. Bake for long enough for your center to be baked thoroughly. Ovens and baking time can vary from oven to oven. Just use the toothpick trick. If the toothpick comes out clean, your cake is done. 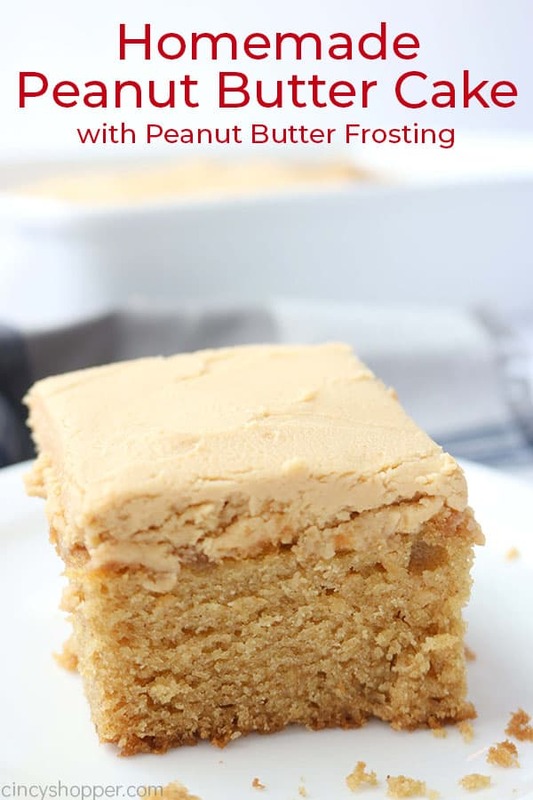 Be sure to use softened butter for your peanut butter frosting. 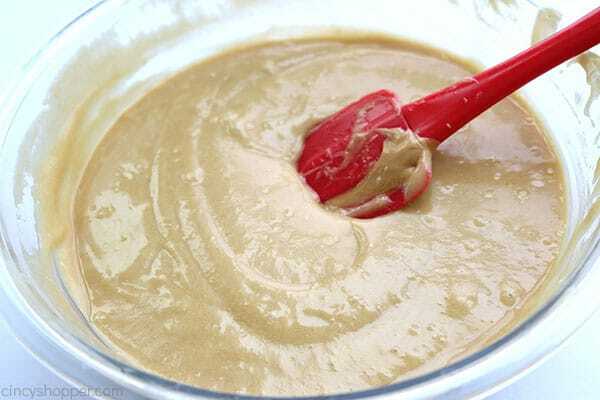 It will blend much better with the peanut butter and make the texture of your frosting creamier. Add a couple more drops of milk if you would like your frosting thinner. 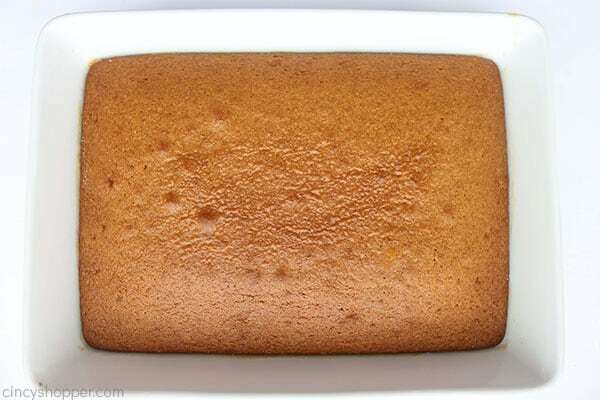 Toss your cake in the refrigerator, it tastes amazing chilled too. If storing your cake at room temperature, cover it to keep fresh. Enjoy with a large glass of milk. Milk with this cake is amazing. Grease a 9x13 baking dish with butter. 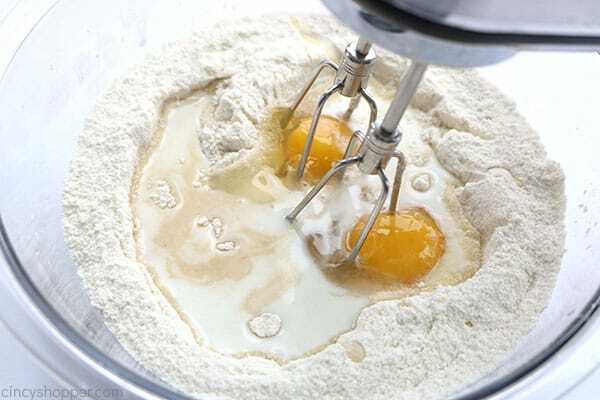 Dust with flour to prevent sticking. 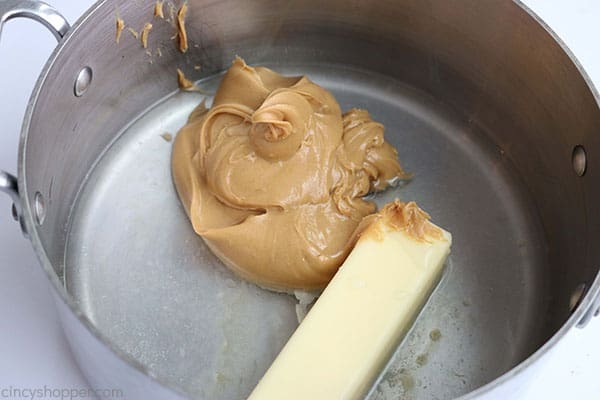 Add water butter and peanut butter to a saucepan. So happy your family enjoyed this cake! My kiddos gobbled the one I made this past week. I only had one piece. I think I need to make another. This looks amazing. The cake looks so moist. Makes me want to grab a fork and gig in! I just made this yesterday. We tried it when it was room temp., pretty good! I put it in the refrigerator overnight and WOW..yummy! Not sure why, but it tastes much better cold. Warm or cold, I’ll keep this recipe for sure. I made this cake today and my entire family demolished it. Not a crumb left. Delicious and so moist! A new favorite! WOW WOW WOW….this was the best cake I have ever eaten. My grandaughter said this to be her birthday cake from now on. Thank you for the recipe. Glad she liked it. It’s a keeper recipe for sure. This looks and sounds delicious! Do u think this recipe would work for cupcakes? Hi Nicole! I bet it would. I have not made as cupcakes as of yet. if you try, be sure to let us know the results. Hi this is Kristina visiting from Wow me Wednesday. Wow this looks incredible! I am a major PB fan and will be pinning this to my real food desserts board. Made this cake today I halved the recipe because it’s just myself and my husband ,I’m glad I made a smaller version. It was so good we would have eaten all of the 9×13 ourselves . I really love this cake; easy to make. My family loved it as it was a birthday cake for some family. I will definitely make it again . I am new to baking cakes, but the idea of adding water doesn’t seem appealing, so I’m wondering if you could just add more milk or oil if it needs more wet…or does the water serve a purpose? The water is necessary to help with the consistency of the cake, it melts the sugar and brings everything together if that makes sense…. Very moist if made this way. This cake was fabulous! I was also skeptical about using water but I followed the recipe and I’m glad I did! The cake was incredibly moist and delicious! We will definitely be making this for years to come.